Cleveland Cinemas has announced the titles for the first half of the 2015 MELT BAR & GRILLED LATE SHIFT. The series continues to showcase a variety of popular films from the recent and distant past and includes our first ever all-night bad movie marathon, The 12 Hours of Terrible. Martin Scorsese’s gangster masterpiece features a scene-stealing performance by Joe Pesci. Come in your best mobster suit (no guns please) and get a free popcorn! Ridley Scott’s final official director’s cut of his sci-fi film noir about a man tasked with tracking down rogue replicants. Win a snake! Rob Reiner directed this adaptation of a Stephen King short story about four friends who go on a journey to see a dead body. Blueberry pie eating contest before the 9:30 PM show. Kirsten Dunst is the new captain of her cheerleading squad who must deal with the fact that all of her teams winning routines were stolen from another school. Dress as a cheerleader and get a free popcorn. Kurt Russell and John Carpenter team up for this genre bending comedy about a trucker doing battle with an ancient Chinese sorcerer. Wear a trucker hat and get a free popcorn! In this chilling sci-fi horror film the crew of a space ship must deal with a killer new species with acid for blood. Win some TUMS to help with that stomach ache. Sometimes a bad movie is so terrible it’s better than a good movie. For one night the Cedar Lee Theatre is going to embrace bad as the new good with our first annual 12 HOURS OF TERRIBLE when we showcase these 7 films that have to be seen to be believed: Plan 9 from Outer Space, The Happening, The Baby, Drive Angry 3D, Miami Connection, Masters of the Universe and Over the Top. Attendees who stays for the entire series from beginning to end will receive $5 back as their reward. Arnold Schwarzenegger and his team of Special Forces find themselves being tracked and killed by an alien hunter out to collect skulls as trophies. Win some mud! Special promotions to encourage audience participation are planned for most films and include a free popcorn give-away for BRING IT ON for anyone dressed as a cheerleader and a blueberry pie eating contest before the 9:30 PM showing of STAND BY ME. In addition to the films above the Cedar Lee Theatre continues its monthly showings of the perennial cult classics THE ROCKY HORROR PICTURE SHOW and THE ROOM each month. 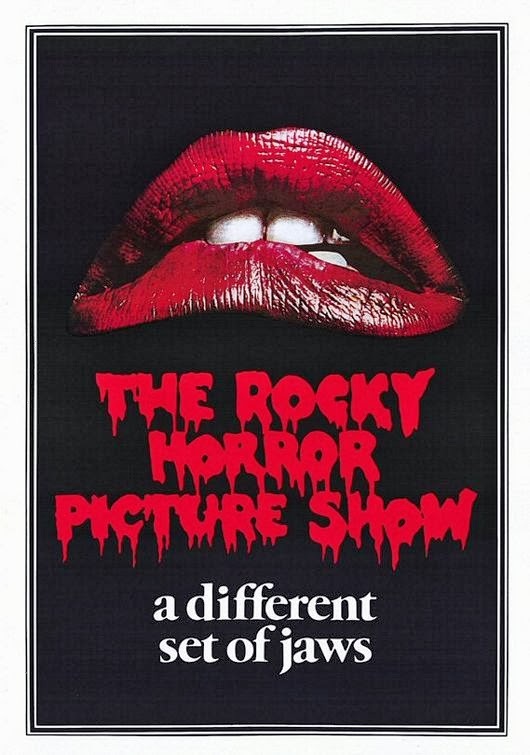 THE ROCKY HORROR PICTURE SHOW plays the first Saturday of each month at midnight and features a live interactive cast performance by the resident cast, Simply His Servants. THE ROOM plays the second Saturday of each month at midnight. Admission to MELT BAR & GRILLED LATE SHIFT films is $5 with the exception of ROCKY HORROR (admission is $9 or $6 if you come in costume) and THE 12 hours OF TERRIBLE tickets are $25 in advance or $30 day of show. Tickets are available at the theatre box offices and www.clevelandcinemas.com at least two weeks prior to each show. MELT BAR & GRILLED LATE SHIFT is sponsored by the Melt Bar & Grilled, Scene and The Alan Cox Show on 100.7 WMMS.